This is the public profile of Lam Hong Ki, Connie, Additional information and high-resolution images are available for accredited press members, to access additional information about Lam Hong Ki, Connie please login as a press member. 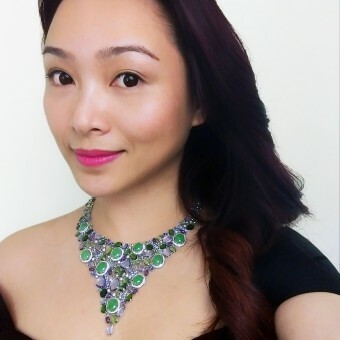 About Lam Hong Ki, Connie : Her story in the field of jewelry design began long before she was born. 60 years ago in Phnom Penh, the capitol of Cambodia, where her mother grew up, her family owned a jewelry house and it was a popular hang out place for members of the royal family until the Khmer Rouge took over the city in 1975. Immersed in a constant love for beauty manifested in her mother’s jewelry collection since childhood, she has become an architect, jewelry designer, and gem stone collector. Through architectural training she is dexterous with juxtaposing different materials to optimize color composition, choice of material, and functionality. 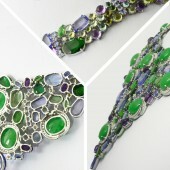 Many of her designs make use of the rich colors tones offered by tourmaline and fancy sapphire. Press Members: Request an exclusive interview with Lam Hong Ki, Connie.